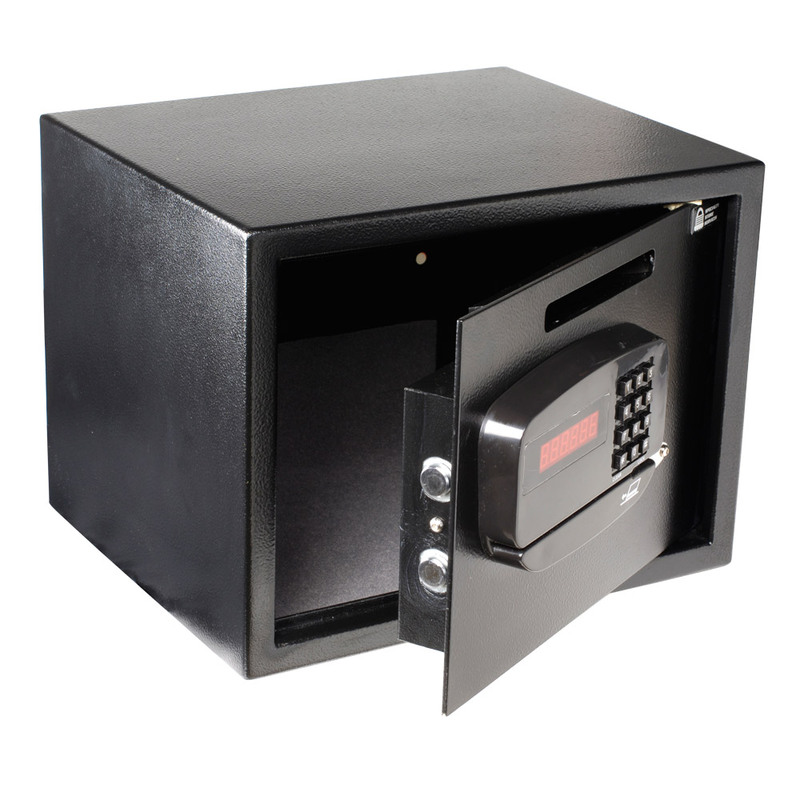 Compact and user friendly, this safe is an excellent choice for small businesses. No need to open the safe to deposit cash; money can simply be dropped into the chute. Program the digital card reader locking system to open the safe with credit cards or with the keypad. Cash drop slot is 3/4 in. x 6 in. Mechanical override key bypasses the electronic lock and master code overrides combination if forgotten. If combination is consecutively entered incorrectly, the safe will lock up to 5 minutes. Complete with 4 mounting holes, 2 on the bottom and 2 on the back. 45 pounds.